Brazilian Jiu-Jitsu is often likened to a game of human chess. If you don’t like to work out at a gym because you get bored, you’re not alone. Many of our students were tired of going to the gym, and they couldn’t find new songs or audio books to entertain them on the treadmill. They found BJJ to be the perfect workout because it requires a high level of concentration proportional to the amount of calories burned and pounds lost. What’s more, you’ll still learn to defend yourself. It’s a win-win situation. The folks at GB make our school what it is, and you too will soon be one of us. You’ll be impressed by how committed each and every team member is to your learning. The instructors, staff and other students make our environment friendly yet demanding and challenging, which stimulates all of us to achieve our best. You don’t come to class just to learn how to fight. You also work hard toward mastering the underlying principles that allow you to succeed on the mats. When applied to your life off the mats, these principles can bring more balance to your routine and help you reach your true potential. Student safety is our instructors’ primary goal. Training sessions are supervised at all times, and we have CPR-trained personnel on duty during every class. 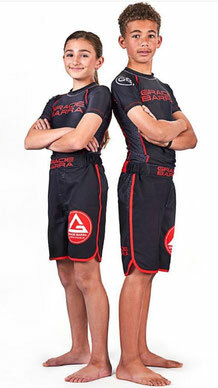 A certified Gracie Barra black belt instructor also responsible for teaching class supervises each school. Our team of instructors was trained in the teaching philosophy and methods of Master Carlos Gracie Jr., the founder of Gracie Barra. A legacy of over 30 years of teaching experience is at your service, so you don’t have to worry: you and your family are in great hands.